Studies show that 40% of users exit a website if the page takes more than 3 seconds to load. 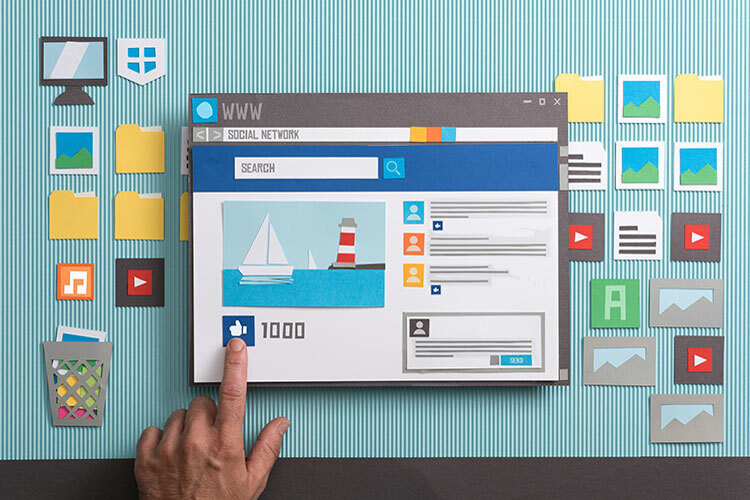 Similarly, web design elements like content, link strength, keyword usage, internal navigation, and social sharing – all affect user experience. One fool-proof way to improve user experience is to improve web design. Customer surveys and remote user testing are both excellent ways to collaborate with your website visitors. You can use these tools to understand how your prospective customers use your website and get inputs from them on how to make the website better. Implementing some of their suggestions will make the visitor feel cared-for by your company, and this will undoubtedly improve their perception of your company. When a visitor feels valued by a business, he is more likely to associate himself with that business. Providing discounts and offers in exchange for customers taking part in surveys and tests is also an excellent way to increase participation and improve the user experience. In a study, 85% of the respondents confirmed that they expected a company’s mobile website to be similar to, if not better than, its desktop website. This shows that visitors expect a standardized, top-quality website experience across devices. This is only possible when you implement a responsive web design that can change and adapt to the various devices the website is being viewed on. This type of responsive web design eliminates the constant (annoying) need to scroll and re-size the web page, across devices. Prospective customers visit your website for information. If you satisfy their curiosity, you stand a better chance of keeping them interested in you. Studies show that 86% of all website visitors first head over to the company’s Products and Services page. Next is the Contact page (65%) and the About Us page (52%). This is then followed by other content like Blog, Gallery, Case Studies, Clients and so on. It is essential to keep these statistics in mind and create content accordingly. It is only when you position yourself as a thought leader to your visitors and provide clear information, do you stand to gain their attention and respect. A 404 redirect is any website visitor’s worst nightmare. A 404 error page is indicative of precious customer time wasted, and your visitor may not make a repeat visit if 404 pages pop-up too frequently and if these pages don’t offer the visitor any solution. If you do have 404 error pages, be sure to offer your website visitors alternative internal links within your that page. Providing links to products/services similar to the one that was supposed to be on the 404 error page, will encourage your visitors to continue browsing through your website. They may also not feel like they wasted their time and effort on your company site. At RadVine Marketing, we can redesign your website and help you elevate your users’ experience. Contact us for more information.